Today’s episode is sponsored by Hopster, an award-winning learning and entertainment app for kids ages 2-6. Today’s episode is also sponsored by ModCloth, purveyor of unique clothing and accessories featuring an inclusive size range that celebrates all women. For great deals from both of these sponsors, tune into our episode! The change in season brings with it an opportunity to reflect and recalibrate, so this week we’re doing a spring check-in. 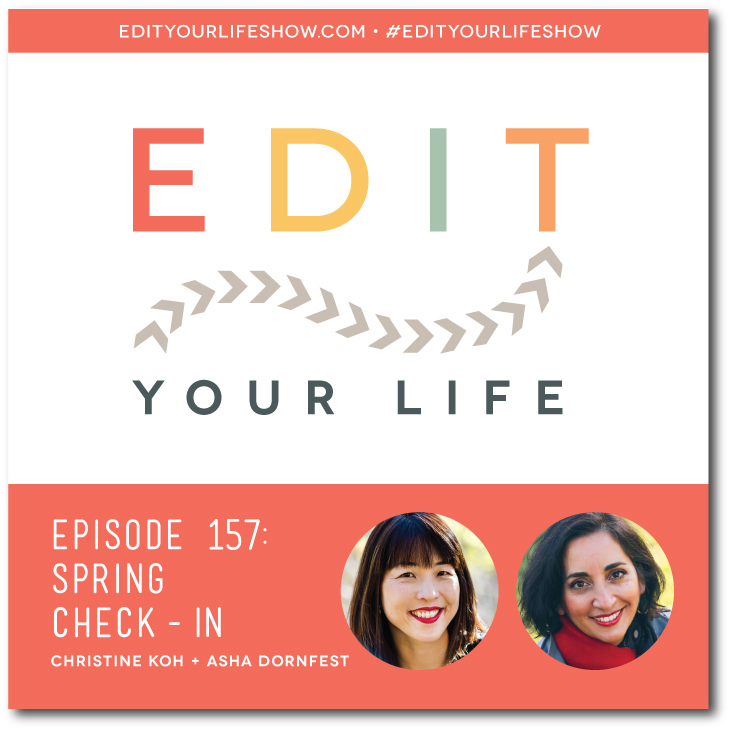 In Episode 157 of the Edit Your Life podcast, Asha and I share a behind-the-scenes look at their family, work, and self-care plans for spring. Also featured: an unintended special guest, Asha’s dog, Teddy, who barked through most of the episode. Sign up for the Edit Your Life e-mail list! Where are you at right now in terms of family, work, community or just life? Join the discussion on the Edit Your Life Facebook page -- look for the Question Of The Week post pinned to the top of the page.